Frith Street Gallery is delighted to announce an exhibition of paintings and works on paper by Callum Innes. The exhibition will present a survey of the artist’s work from his first exhibition at Frith Street Gallery until present. It also marks the gallery’s 30th anniversary. 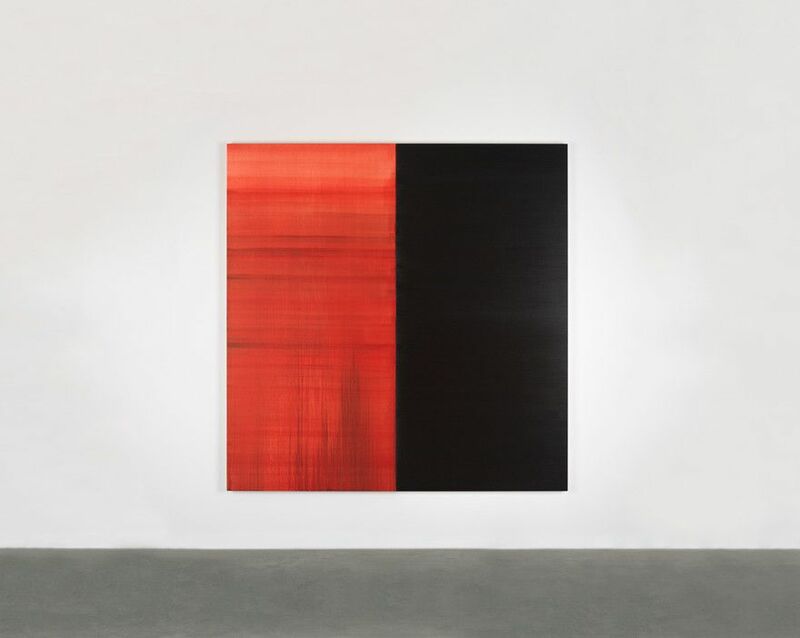 Callum Innes’ paintings explore the possibilities of paint on canvas. Uninhibited by, yet very aware of, the achievements of the past and the rise of other media, Innes uses the language of the monochrome, an established format of abstract painting since the 1960s. His paintings are created through a process of addition and subtraction, sometimes removing sections of paint from the canvases surface with turpentine to leave only the faintest traces of what was there before. Using this method of erasure he has established his own vocabulary in the form of distinctive groups of paintings, examples of which are shown here. Innes works in gradually evolving cycles with each new painting building on those that have gone before in a subtle but constant progression. Innes has probably become best known for his Exposed Paintings series, though his concern for the processes of painting and un-painting is shared by his Agitated Verticals, Resonance, Isolated Forms, and Monologue works. The play between additive and subtractive processes means that the potential for uncertainty is ever present within a rigorous visual language. Keeping Timeoffers a rare opportunity to consider the development of Innes’ practice across a significant period of time. It will include works from the series mentioned above, as well as from Formed Paintings, Repetition, and Cento. Callum Innes was born in Edinburgh in 1962 and studied at Gray's School of Art, Aberdeen and Edinburgh College of Art. Innes was short-listed for the Turner and Jerwood Prizes in 1995, won the NatWest Prize for Painting in 1998, and in 2002 was awarded the Jerwood Prize for Painting. Innes’ work is held in public collections worldwide including the Guggenheim, New York; National Gallery of Australia; Tate, London; and Scottish National Gallery of Modern Art. A major exhibition of Innes' work, I’ll Close my Eyes,was shown at De Pont Museum, Tilburg, NL, in 2016-17.